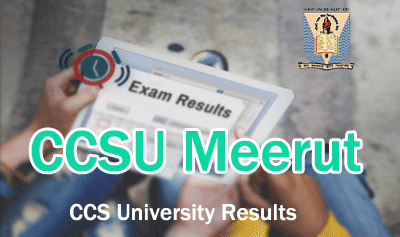 CCS University Result 2019: Students pursuing in CCSU Meerut can the result online at www.ccsuniversity.ac.in for all courses (Private/Regular/Professional or Integrated). CCS University Result 2018- 2019 Exams for BA, B.Sc, B.Com, B.Ed, LLB, MA, M.Sc etc. (1st, 2nd, 3rd, 4th, 5th, 6th, 7th, 8th Semester) Exam are declared on CCSU Online Portal. One can access CCSU results 2019 from here through below mentioned link. The Chaudhary Charan Singh University (CCSU), Meerut is one of the largest university in Uttar Pradesh, India. It offers various courses at Under Graduate and Post Graduate Level. Lakhs of students are got admission in this university every year. The CCS University conducts their semester examination for the courses offered by its twice in a year. It also organized several courses which examination are conducted annually. Here, on this page, we are only informed about the declaration time/checking process of CCS University result through online. Students, who are searching for CCSU Meerut Result 2019 for recently conducted examination need to visit the official website of the university. At this time, the University has declared results for several courses. The student can check CCS University result 2017 conducted earlier through online at www.ccsuniversity.ac.in 2019 UG / PG - Private /Regular/ Professional or Integrated Examination Results. CCS University Meerut Result 2017 for BA, BSC, B.COM, BCA, B.Ed (1st, 2nd, 3rd year) and other examination either UG / PG courses is available online. If you can't find your examination result of your courses, then wait for some this till its announcement. The list of all examination result already published by the University is available on its results declaration page. You should check your exam results if it is announced then find your mark sheet through the available link. Students can directly visit the official website of CCSU University (www.ccsuniversity.ac.in) or open http://192.163.211.186/~ccsuresu/ to know your result. How to find the results of CCS University Exam 2018-19? Opne the maine web portal of university "www.ccsuniversity.ac.in". Go through the "Results" of all courses. A new link will open "http://192.163.211.186/~ccsuresu/". On this page, check the latest announced results and click on the link "Regular / Private/Professional Courses Result"
Enter Your Roll Number and click on 'Submit' button. Finally, you can view your marks. If you have entered wrong details then your result couldn't display. Click on 'Reset' button then enter correct details. Chaudhary Charan Singh University is commonly Known as CCU / Meerut University. It was established in 1965. CCSU Meerut is a public state university. It is located in Meerut, Uttar Pradesh, India. This University offers higher education (UG/PG/Ph.D.) in various discipline. At this time, Sri Vikram Chandra Goel (Retd. IPS) is Vice Chancellor and Sri B.L. Joshi Chancellor of the University. It has around 760 affiliated colleges/institutes. Through its affiliated colleges/institutions, it provides the education for undergraduate and postgraduate degrees, and diplomas in various disciplines of Agriculture, Art, Commerce, Education, Law, Medicine, and Science faculties etc. For more details about CCS University Result 2019, please visit www.ccsuniversity.ac.in. 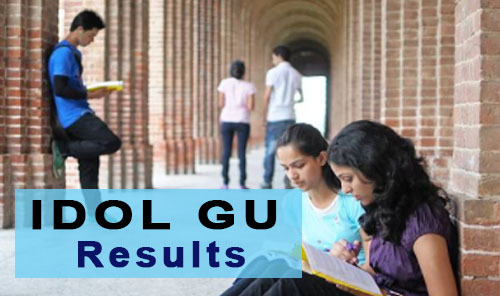 IDOL Result 2019: The Results of IDOL GU Exam 2018-19 will be declared on idolgu.in for Semester Sem 2nd, 4th, 6th or 1st, 3rd, 5th Sem Exams. Students of MA, M.Sc, M.Com, B.Com, BCA, LLB, BSc-IT / PG Diploma can download GU IDOL Marksheet from the website of Institute of Distance and Open Learning, Gauhati University i.e. www.idolgu.in. The information related to IDOL GU Exam Routine 2019, IDOL GU MCQ Result 2019 can be found on the official website. Students can also access all the information related to their examination and result from this page time to time. The Institute of Distance and Open Learning (IDOL) has been conducted the Even semester examination of UG and PG (Arts / Science /Commerce) Courses during the month of August to September 2018. The students who have appeared for even semester examination of IDOL Gauhati University need to download marksheet or check IDOL Result 2nd, 4th, 6th semester by using roll number. Similarly, the student can also check the Odd semester exam results of Gauhati University, IDOL through online mode at www.idolgu.in. Gauhati University, Institute of Distance and Open Learning have declared the several examinations results for the session 2018-19. Students, who have appeared in the odd / even semester examination held in November 2018 can check IDOL Results 2019 online. Below we have mentioned easy steps for all students who are studying in Gauhati University under Distance / Open Learning Programme of GU, Assam. First of all, students need to open the official website of IDOL GU. You just type the web address "www.idolgu.in". After the opening of the Home page of the website, Click on "Examination Results". You can see the list of announced results by the university. Click on your examination result link to download it in a pdf format. Search your Roll Number by Pressing (Ctrl+F) or search manually. - List of expelled candidates. IDOL Arts, Science, Commerce Results Can also be checked online at www.gauhati.ac.in using Roll Code and Roll Number. Again Click on "IDOL Results". Now enter your "Roll Code" and "Roll Number". All the learners of Institute of Distance and Open Learning, Gauhati University that the MCQ based Internal Assessment Test Result for MA/MSc/MCom in the subjects English, Economics, History, Political Science, Commerce, Mathematics, Bengali and Education for all semesters (Sem 1st, 2nd, 3rd, 4th, 5th and 6th Sem) Exam 2018-19 can be checked on idolgu.in/mcq/result. List of declared IDOL GU MCQ Result 2019 is available on the university website. For more information regarding IDOL Result 2019, idol mark sheet download, Admit Card, and Exam Routine please contact to your learning center or visit idolgu.in. RRB Group D Result 2019: Railway Recruitment Board (RRB) is now going to release the Group D Result CBT-2018 up to 28th February 2019. Railway Group D Result 2019 for Level-1 posts under CEN 02/2018. The selection o 63 thousand group d posts will be filled in all RRB's regions. RRB Group-D CBT exam was held from 17 September to 17 December 2018. Candidates who appeared for Group D CBT Exam, they are waiting for RRB Group D Result. Check the latest update about the Railway Group D Result 2019 date, Answer Key, cut-off marks will be available on each regional website of RRB. According to the latest news, Railway Group D Result 2019 will be released in the month of March. It might also be announced on 28th February 2019. There are not any official update from RRB for Group D written exam result has been available on www.indianrailways.gov.in. The board will start the result declaration process as soon as possible. Candidates are required to visit only the official website to know the exact information about RRB Group D Result 2019. Before it, Most of the online news portal was said about RRB Group d result date, but the RRB hasn't declared the result of Computer Based Test (CBT) on the expected date. 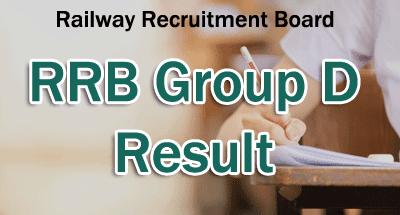 So, when the group d result 2019 will be announced by the Railway Recruitment Board, we will provide all updates along with the official link to check RRB Group D CBT 2018 Result. The Railway Group D Result 2019 will be declared online and it can be accessed from all regional website of RRB. From a long time, around 1.8 Crore candidates are eagerly waiting for RRB Group D Result 2019. Railway Recruitment Board is publishing the latest update day by day about the CEN 02/2018 CBT Group D Result through Indian Railway's website i.e. www.indianrailways.gov.in or through the medium of NewsPaper or News Channel. Till date, there is no exact information we have found. A newspaper has published an article about the RRB Group D Result publication date and said that the Board will issue a Notice on 28th Feb. 2019 about the date of publication of CEN 02/2018 Result. RRB will also release the Answer Key of Group D CBT Exam, OMR Sheet. You should need a process to check the result. Some easy steps are given below here. These steps are helpful to you for checking the Railway Group D Exam Result 2019. A huge number of candidates appeared in the written test for RRB Group D, so Railway Board takes more time to release the result. Board has not announced the date for releasing the result on the official websites. Group D marks will be normalized in CBT. Shortlisted candidates will be called for PET followed by Document Verification (DV). All details regarding further recruitment process will be provided to eligible candidates after the announcement of RRB result. Group D Cut Off marks will vary from region to region. According to this, if there are fewer vacancies in your region, then cut off will be high. RRB Group D Cut Off depends upon many factors such as total vacancies, total no. of candidates appear in the exam, examination difficulty level and etc. Click on the region from where you have applied. In the home page of the website, you can see Group D CBT Results against CEN 02/2018. Enter the required information and view your marks/result status. Board may also upload the PDF which will include Roll No. of all passed out candidates. You should download RRB Group D result pdf page. Now you can search your roll number. if you see your roll number then you will be called for the further stage of the recruitment process. For more details about RRB Grop D Result 2019, please visit the official website of Indian Railway website i.e. www.indianrailways.gov.in. Unishivaji Result 2019: Shivaji University Exam Results 2018 - 2019 can be checked Online at www.unishivaji.ac.in or suk.digitaluniversity.ac. Students can check Shivaji University Result sheet at online.shivajiuniversity.in by entering their semester exam roll number. Unishivaji Results 2019 for FY / SY / TY (BA, BSC, B.Com, MA, MCA, B.E, B.Arch and TE, SE Bachelor of Engineering Part-I (Sem I, II, III, IV, V, VI). You can also UniShivaji November / December 2018 Exam Result by entering PRN number. Please check useful information regarding Shivaji University Result 2018 - 2019 Exam below. Shivaji University, Kolhapur (SUK) has conducted examinations for Under Graduate and Post Graduate courses in the month of Nov / Dec 2018. The Students who have appeared in this examination (Part 1, Part 2, Part 3) will able to find their mark sheet/results via online at online.shivajiuniversity.in. The results of Unishivaji can be checked on suk.digitaluniversity.ac. The examination for UG / PG courses will be conducted next phase in April-May 2019. The University will conduct the examination for several courses in the month of May. 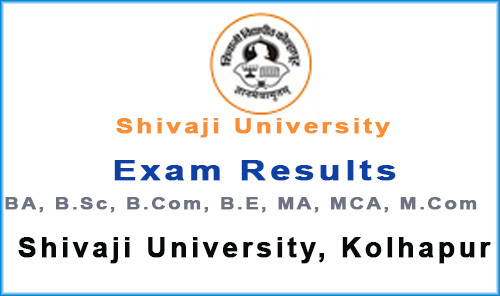 All the results of Shivaji University are declared online on its official website; www.unishivaji.ac.in. The University is going to declare results of annual / semester examination for various courses such as Bachelor of Engineering (BE), B.Arch, BBA, MA, M.Sc, M.Com, BA, B.Sc, B.Com. If you are a student of this university and appeared in recently conducted examination by the university, may check your marks on the official web portal. You just visit the website of SUK and check Shivaji University Result Date 2019. The University will notify the result declaration date on its website. After the announcement of SUK results for Nov-Dec exam, you will able to download your result sheet by providing PRN Number. Unishivaji PRN Number List can be accessed from the official website. If you want to know the full statement of Marks online then visit http://210.212.172.137:89/. The Shivaji University has declared the Examination Schedule for BA, B.Sc, B.Com Part I, II, II (Semester I to VI). Students need to download the Shivaji University Time Table 2019 from the official website; www.unishivaji.ac.in/exam/Examination-Schedule. Go to Students→Examination→Examination Time Table. A list of Final Programs (Time table) of examination to be held in April/May 2019 will appear. Click on your exam time table link to download and then take a print copy. Open the website of university i.e. (www.unishivaji.ac.in). You should go through the link for Online Full Statement of marks/ Online Results sheet. On the result page, select your exam and view the marks. Download Shivaji University Result sheet in PDF / Text file (txt) format. Students must understand the result declaration method of Shivaji University. It declares the exam result with the different type. - Programme Result means the Overall result of the entire Programme (e.g. BA, BCom, BSC, BE, LLB, etc.). Program Result is displayed in Last semester Term / Part level result. - Term Result (Semester-end Result) means the result status at the end of a particular semester. (i.e. FSBA-I/II/III or SSBA-I/II/III, FSBCOM-I/II/III or SSBCOM-I/II/III etc.). - If you have any query, please contact university authorities for further clarifications. Visit official website (www.unishivaji.ac.in / www.shivajiuniversity.in) for more further announcement about Shivaji University Result date 2019 etc. UNOM Result 2019 results.unom.ac.in 2019: The Madras University will be release UNOM Result Nov 2018 for UG PG Exam at results.unom.ac.in 2019 link. Madras University Result 2019 will available on the university's official website www.unom.ac.in or egovernance.unom.ac.in results 2019 page. A large number of students had appeared in November - December 2018 like B.Sc, B.A, B.Arch, B.Com etc, that conducted by the University of Madras. All students are waiting for their University of Madras Results 2019 from a long time. Some important information about Madras University Result 2019 is given below here. results.unom.ac.in 2019 - The University of Madras has released UNOM Results November 2018 for undergraduate and postgraduate professional degree semester exam is available at results.unom.ac.in. Visit the website http://egovernance.unom.ac.in/ResultNov18/ to know the UNOM UG results Nov 2018 of your courses Exam. 04.02.2019 Update: University of Madras UG Degree results has been announced now @http://egovernance.unom.ac.in/resultsnov18. Madras University had conducted exam for all streams UG & PG in semester wise like BCA, BBA, B.Sc, BA, B.Com, MA, M.Com, M.Sc etc. Candidates had written exams at their allotted campus. After the completion of the exam, all students were waiting for their Madras University UG PG Results 2019. University will announce the University of Madras Chennai Result Nov - Dec 2018 on its official website www.unom.ac.in. UNOM Result 2019 will available by online mode and it will available only on official website unom.ac.in or egovernance.unom.ac.in results 2019 page. So candidates always visit our page and check their Madras University Result 2019 for year wise. Results dates and other useful details are given below here. Madras University conducts the written exam of different courses for Regular / Private and other examination in the month of Nov / Dec. Students who are waiting for Madras University Result 2019 (results.unom.ac.in November 2018) of Under Graduate or Post Graduate Exam 2019, they are advised to wait for some time for the declaration of UNOM Result 2019. results.unom.ac.in November 2018 for UG / PG Examination is available soon on official website. We are provide given below direct link to check Madras University UG Result 2019 online from the official site. You can also check IDEUNOM Results 2019 for Nov - Dec Exam 2018 at ideunom.ac.in Exam Results 2019. Stay on this page and get updates on UG or PG Result date. - 2017 Nov UG results published on 31st January 2018. Madras University is the best university of Tamil Nadu State. It is situated in Chennai. It was established in 1857. University has 109 affiliated colleges and 52 approved research institutions. University offers many Under Graduate, Post Graduate, Diploma and other courses. It conducts various Degree Exam like BA, B.Com, B.Sc. MA. M.Sc, M.Com, MBA, and others. It also provides Distance Education for various UG / PG courses. A lot of students has taken admission in this university every year. University has conducted per semester wise and Yearly Examination. Candidates had the written exam with full preparation and get higher marks. University of Madras Results 2019 will be released soon at university official website. You can also check IDE UNOM Dec 2018 Results (Institute of Distance Education University of Madras) at unom.ac.in. First, you visit the Madras University official website at www.unom.ac.in. The search of "UNOM Nov-Dec 2018 Exam Results" at the homepage. Now, you can see UNOM Results 2019 on the screen. For any more details about Madras University Results 2019 (UNOM Results 2019) of UG / PG Nov - Dec 2018 Exams, candidates must visit the official website; www.unom.ac.in.